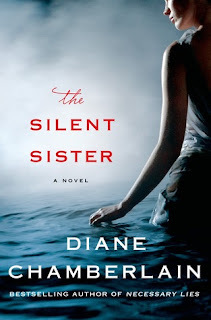 The Silent Sister by Diane Chamberlain is a 2014 St. Martin’s Press publication. When Riley’s father dies suddenly, she becomes the executor of his will because her older brother, Danny, is a war veteran with a host of issues. As she deals with the terms of her father’s will and prepares to go through his personal papers and possessions in order to sell his place, she unearths a torrent of old family secrets, including the shocking truth surrounding her older sister’s alleged suicide. When someone hints at the possibility her sister could still be alive, Riley becomes nearly obsessed with the notion of finding her, but if Lisa is still alive, and Riley manages to locate her, she could be putting her a very precarious position. This story was very complex and emotional, and except for a couple of occasions where the story lost a little momentum, the book was near perfect. I don’t know if I felt the level of suspense the book is supposed to trigger, but I did find it to be a top notch mystery and a very compelling family drama, that left me contemplating all that happened and believing that, yes, punishment and justice does come in all forms, even though I still felt a little conflicted by how everything played out. The characters are human, flawed, mysterious, vulnerable and weak in many ways, filled with pain, regret, anger, and sadness, but also full of love and hope. I can’t say I understood Danny’s intense anger, especially after he finally knows the whole truth, and his volatile nature is the only reason I was left with any residual feelings of unease. Riley is perhaps a little too naïve, too easily manipulated, and sheltered which came back to bite her on a few occasions, but I really did like her. The secondary characters were well drawn, all doing their part to create the desired atmosphere and help weave this sordid tale of lies and secrets. I was totally immersed in the story, and am glad I took a time out from my review schedule to fit this one in. Diane Chamberlain is the New York Times, USA Today and Sunday Times bestselling author of 24 novels published in more than twenty languages. 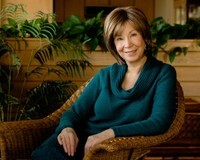 Some of her most popular books include Necessary Lies, The Silent Sister, The Secret Life of CeeCee Wilkes, andThe Keeper of the Light Trilogy. Diane likes to write complex stories about relationships between men and women, parents and children, brothers and sisters, and friends. Although the thematic focus of her books often revolves around family, love, compassion and forgiveness, her stories usually feature a combination of drama, mystery, secrets and intrigue. Diane’s background in psychology has given her a keen interest in understanding the way people tick, as well as the background necessary to create her realistic characters.